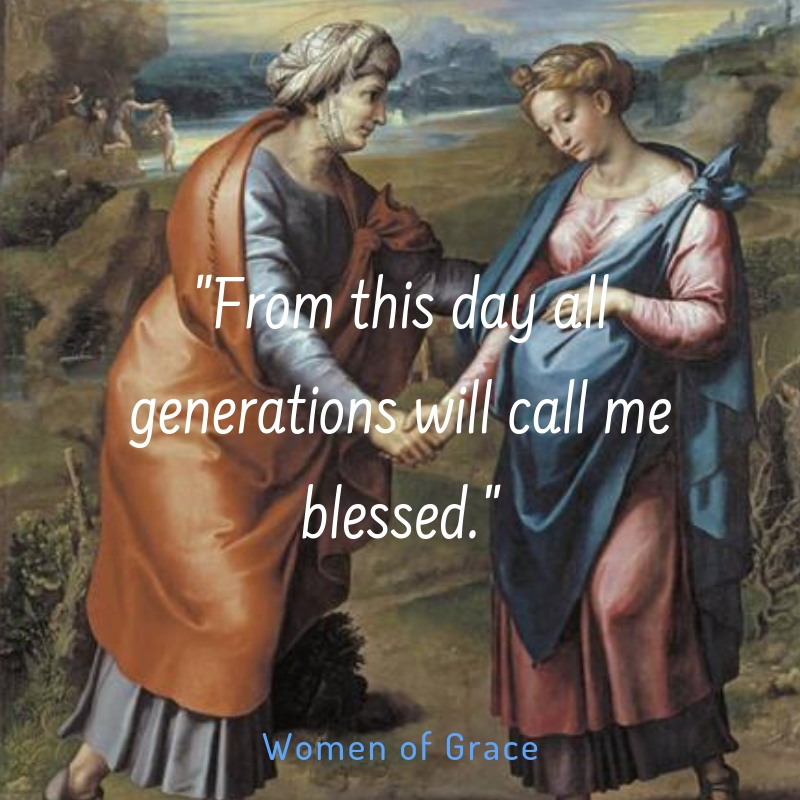 Reflection: “Mother of mercy and of hope obtain for the men and women of the third millennium the precious gift of peace; peace in hearts and families, in communities and among peoples; peace above all for those Nations where people fight and die every day. 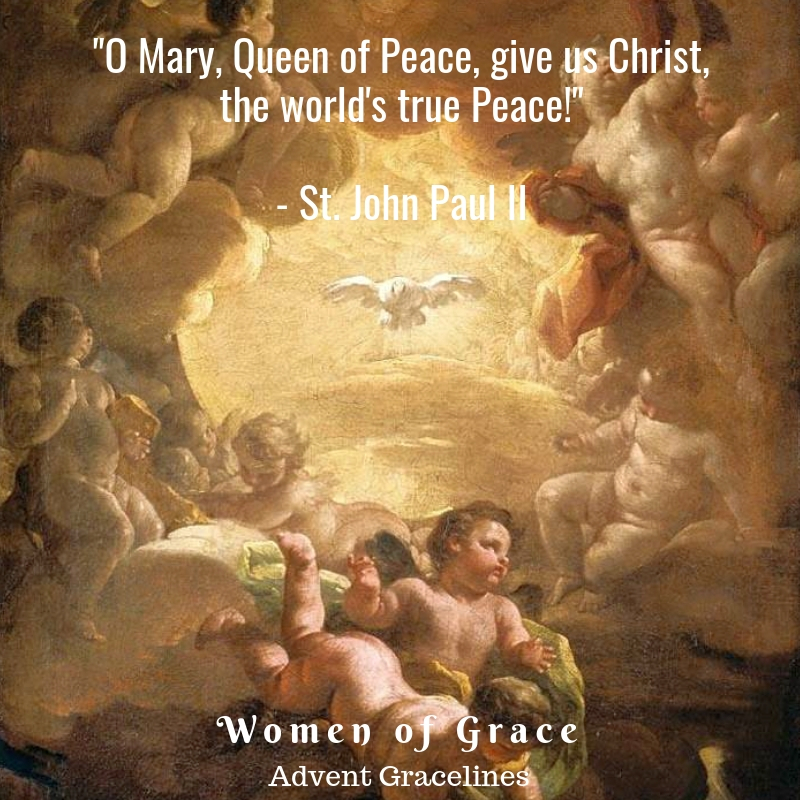 Obtain that every human being of every race and culture may encounter and accept Jesus, who came down to earth in the mystery of Christmas to give ‘His’ peace to us. Challenge: Where do you need more peace in your life? 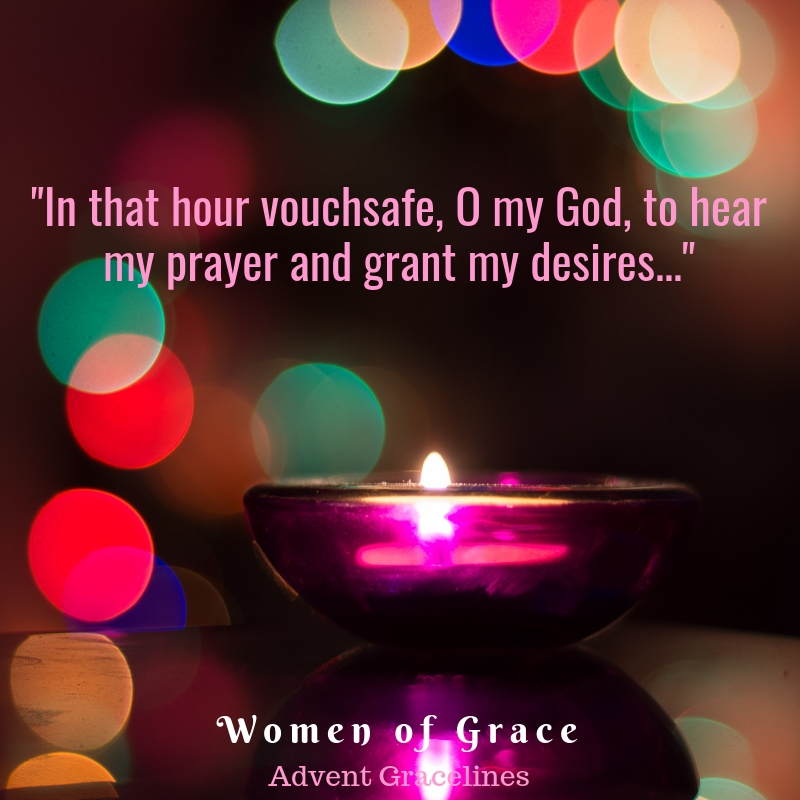 Ask the Child Jesus to grant you the precious gift of His peace this Christmas. 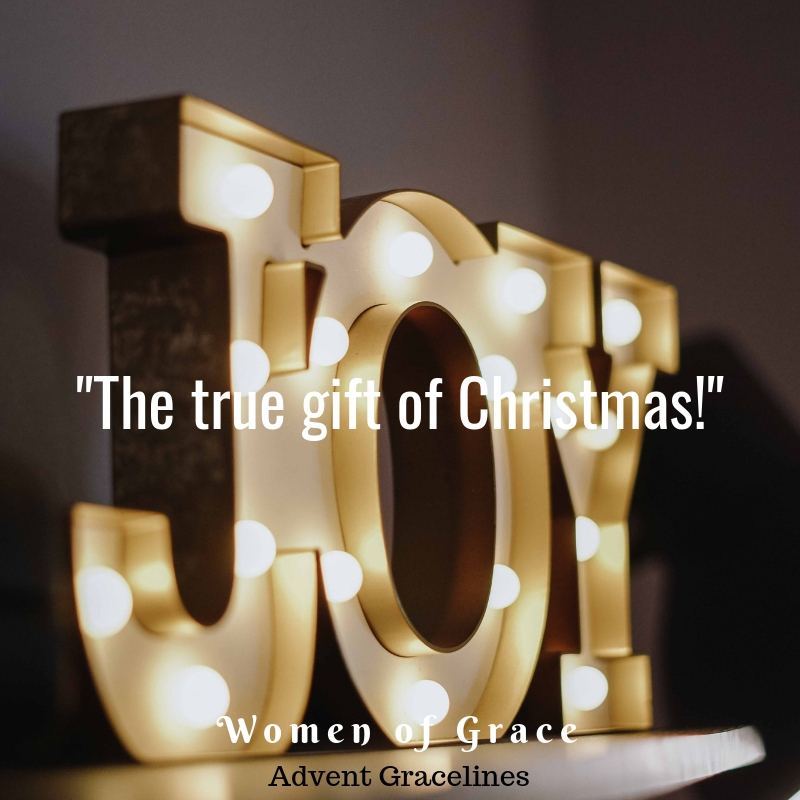 Challenge: What can you do to today to prepare your heart more deeply to receive the joy of the Child Jesus on Christmas Day? Challenge: What is the underlying meaning of this quote? Do you believe that you are truly filled with joy based on your interactions and encounters with others? 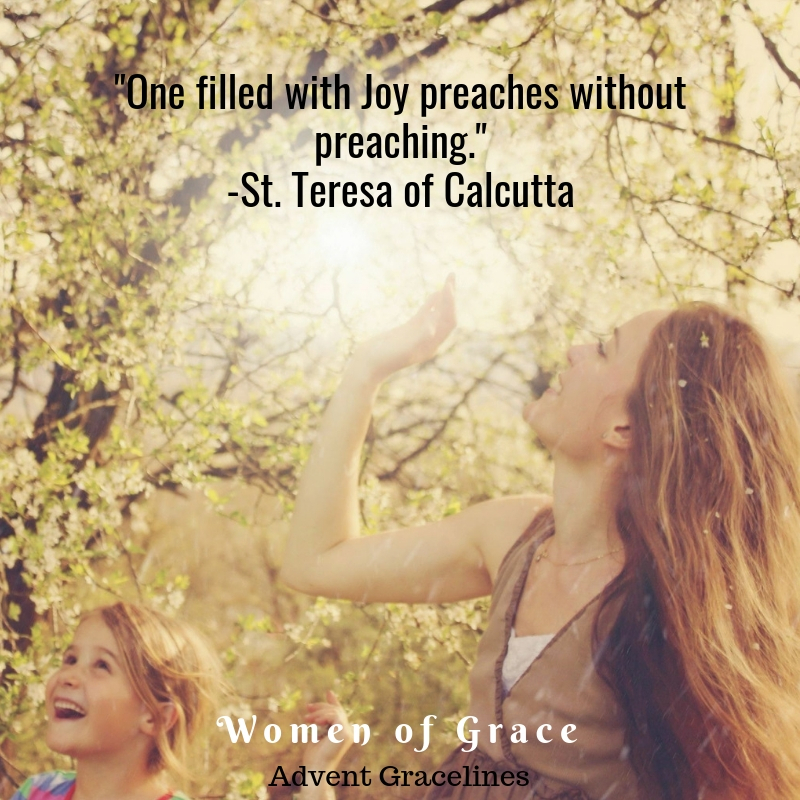 Do you “preach without preaching”? 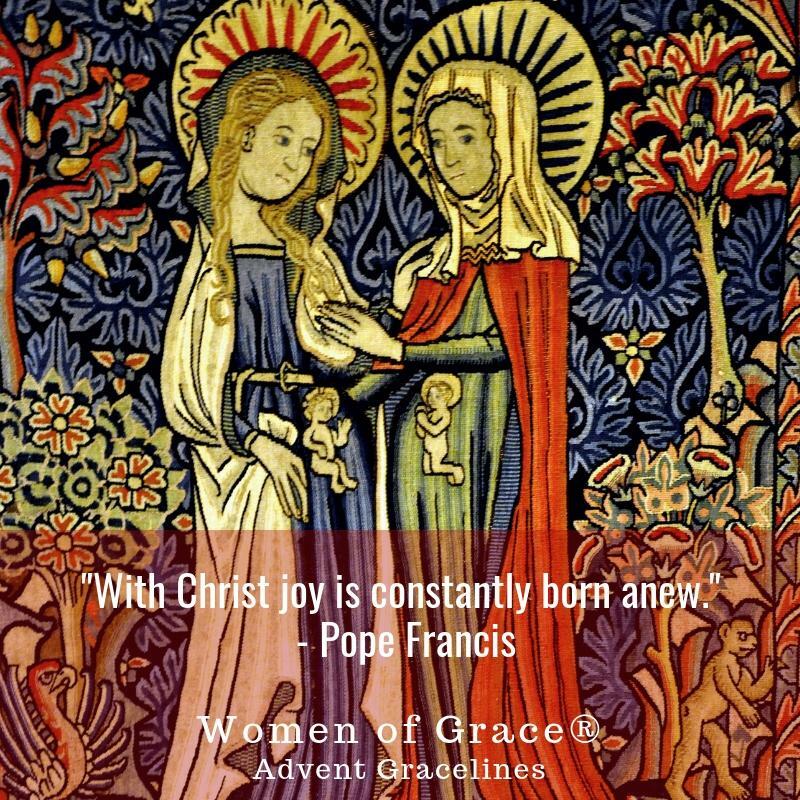 Today, ask our Lord to open your heart to a greater outpouring of joy, and await His lovely gift. 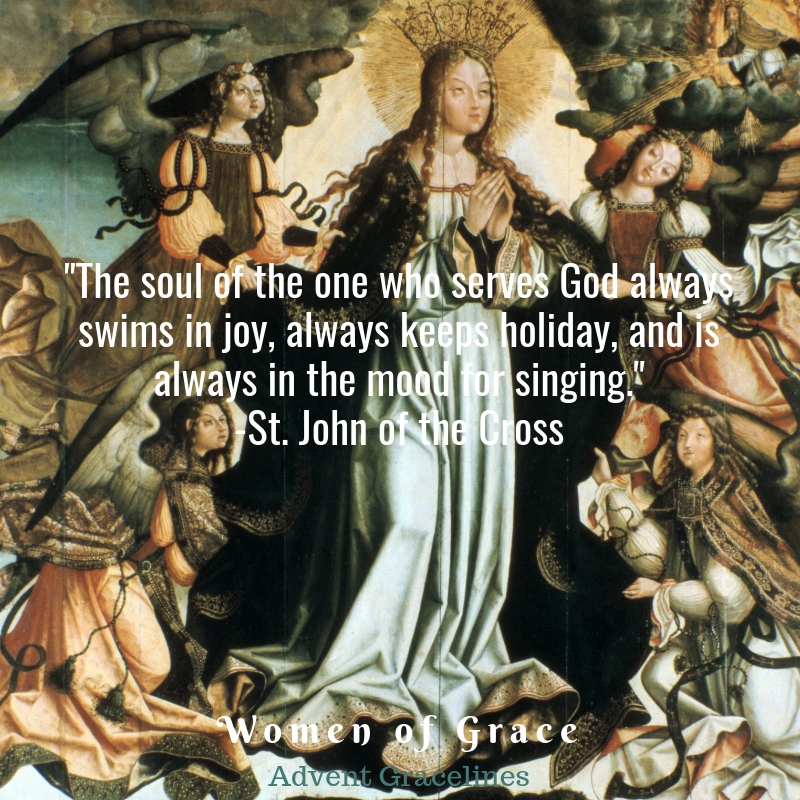 Challenge: Are you swimming in joy and rejoicing this week? If not, place it at the foot of the cross and give God any discouragement you are experiencing. Surely, He will transform it! 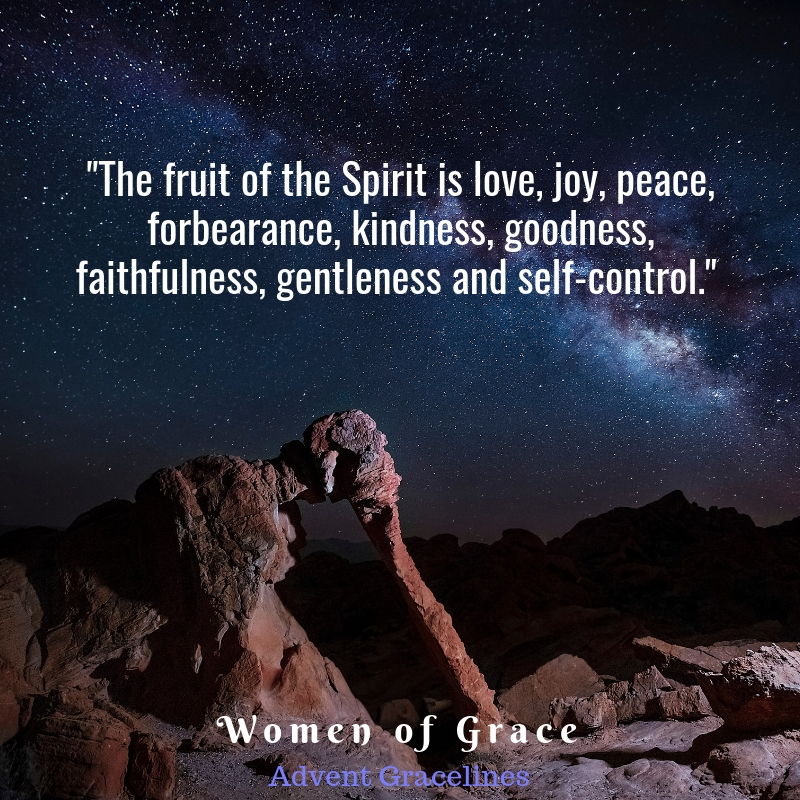 Challenge: What fruits are you struggling with this Advent? How is our Lord calling you to grow deeper in these virtues? Ask Mother to storm heaven with prayers for you today! 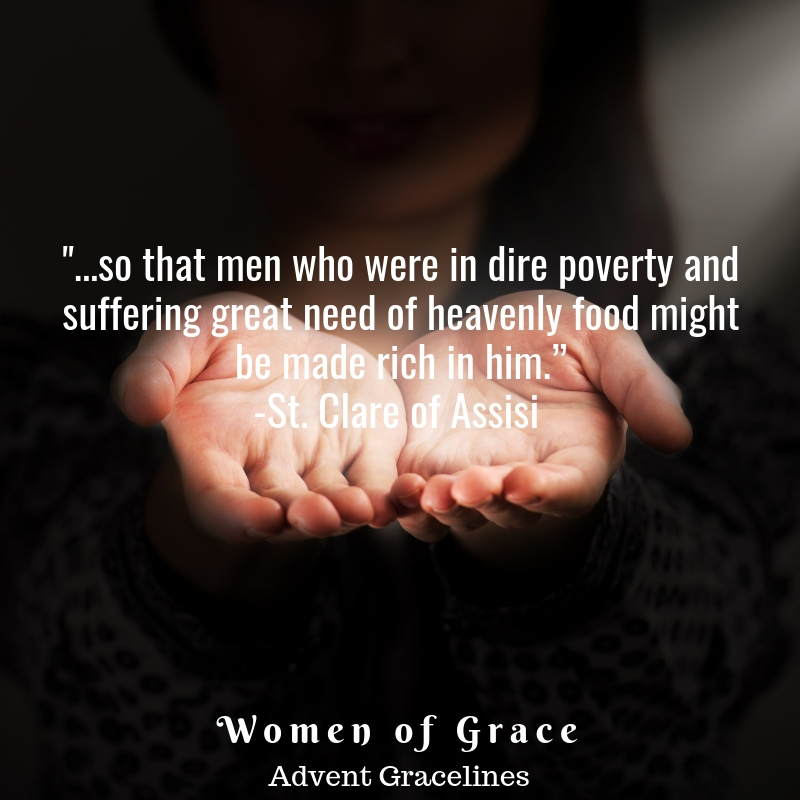 Challenge: What poverty are you experiencing this Advent? How is our Lord asking you to trust Him with your suffering in order to allow Him to transform your pain into something rich and beautiful? Do you trust Him? Challenge: Christmas day is a week from tomorrow! This week, let’s prepare our hearts a little deeper to receive our Lord. Today, how can you “communicate this joy” a tad more? Who can you forgive? Who has God presented to you to help or offer some kindness? In so doing, thank Him for the opportunity to serve and love just a drop more! Challenge: Make your desires known to God today. And while you wait, rejoice in the moment. Trust Him with timing, and allow Him to fulfill all the desires of your heart! 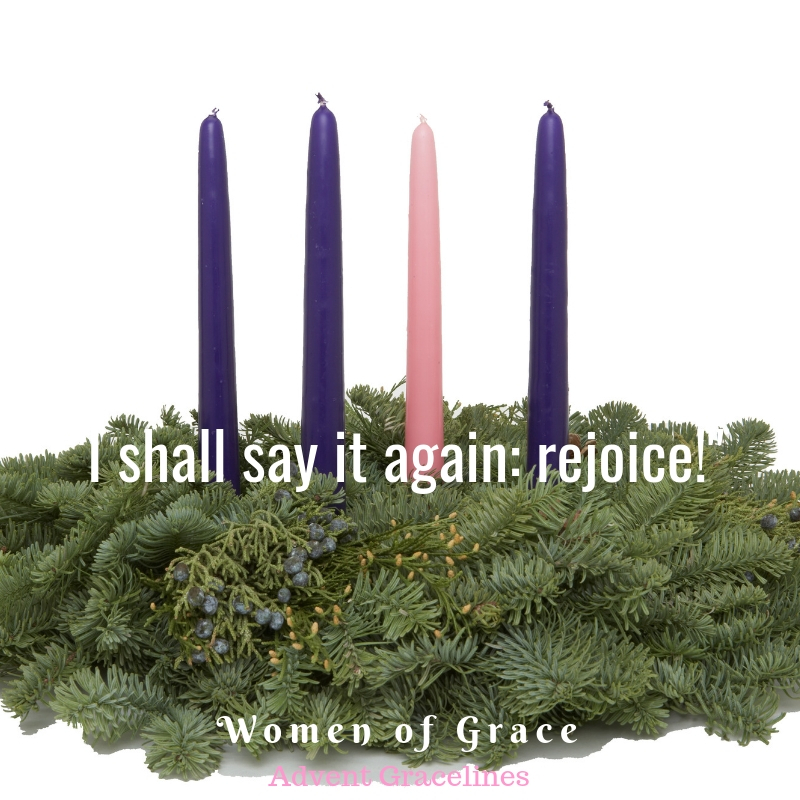 Theme: Advent is a time of faith. We believe that He will come to us, simply because He said He would. In trusting Him, we commit everything we are and have to His care and disposal, following in the footsteps of His dear Mother. In doing so, we exemplify faith in His promises. 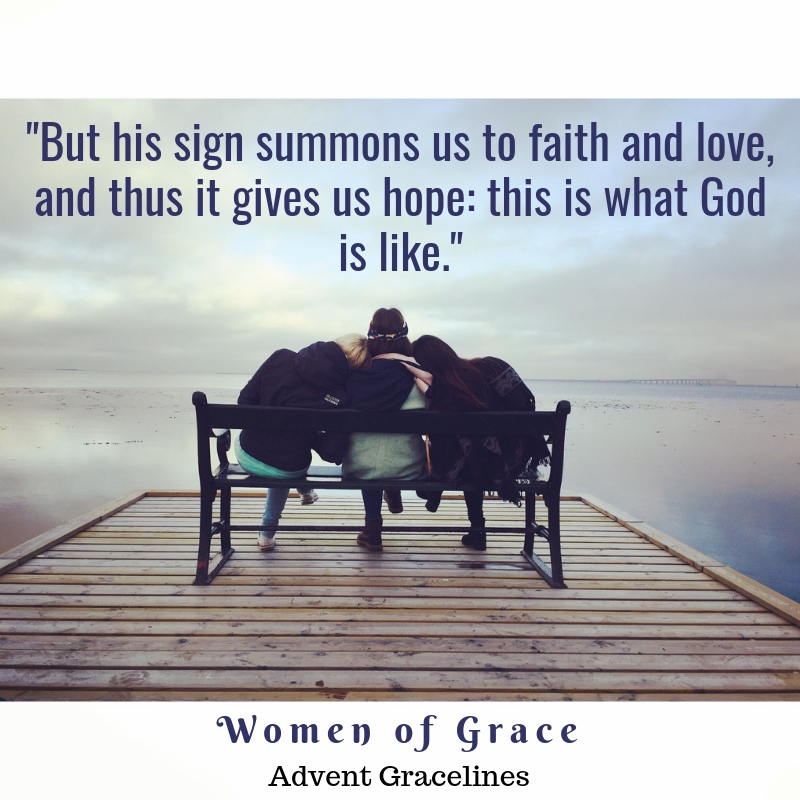 Grace: I pray for the grace of faith during this holy Advent season, entrusting to Him my entire self. I surrender my will in exchange for His. Challenge: What desires do you need to bring to God today? What are you holding onto out of fear? How is God calling you to trust Him today? Challenge: How can I use the “weapons of truth and love” today? How will that change my heart into a place of humility, and ultimately, greatness?